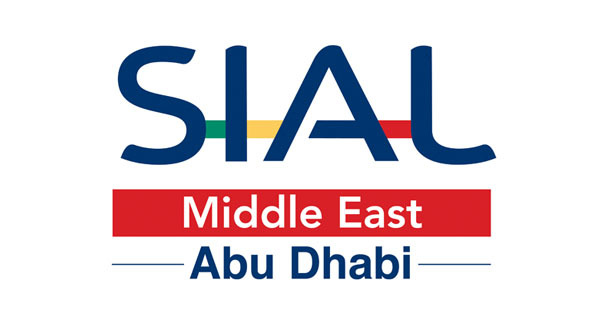 The 8th edition of SIAL Middle East will continue its staggering pace of growth, establishing it as the fastest-growing food, beverage and hospitality event in the MENA region. 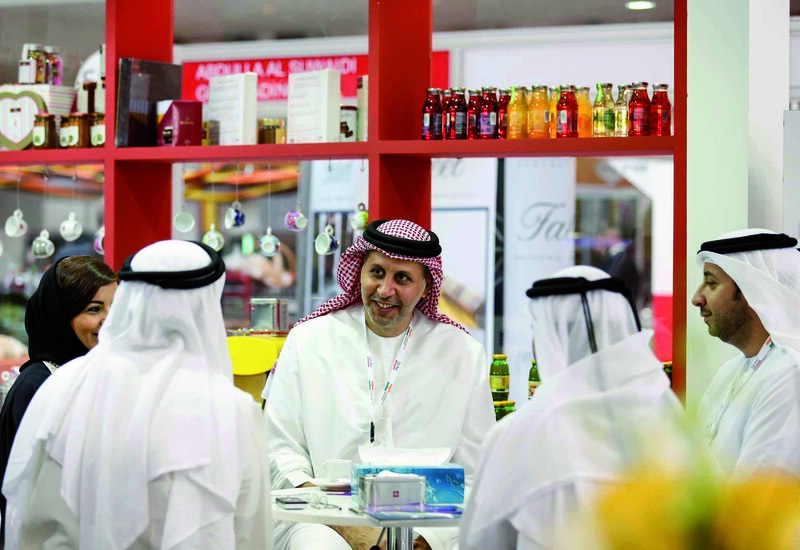 With yet another successful event in 2016, attracting 952 exhibitors, 30+ national pavilions and 16, 562 trade attendees, SIAL Middle East continues to be the platform for food, beverage and hospitality companies to make their mark in this region. Abu Dhabi Date Palm Exhibition is the world’s only dedicated B2B event for date palm fruit. 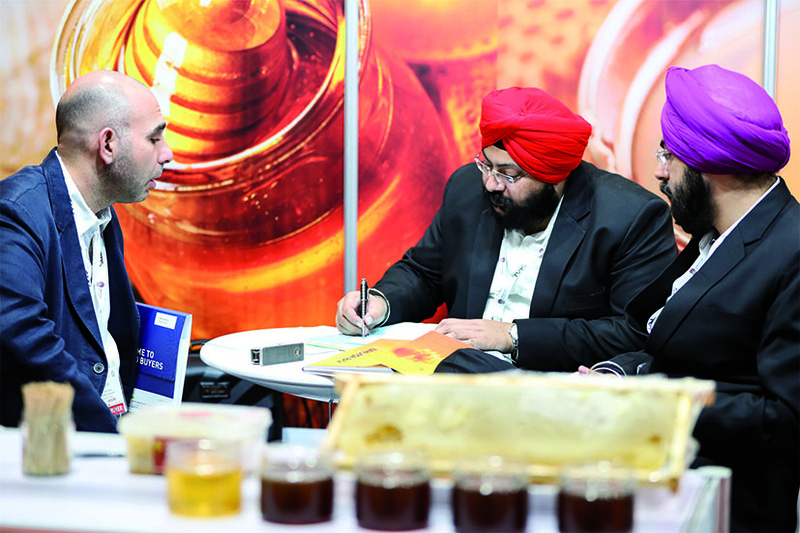 Being co-located with SIAL Middle East also offers a perfect opportunity for date palm fruit producers and suppliers to meet with thousands of food, beverage and hospitality buyers. 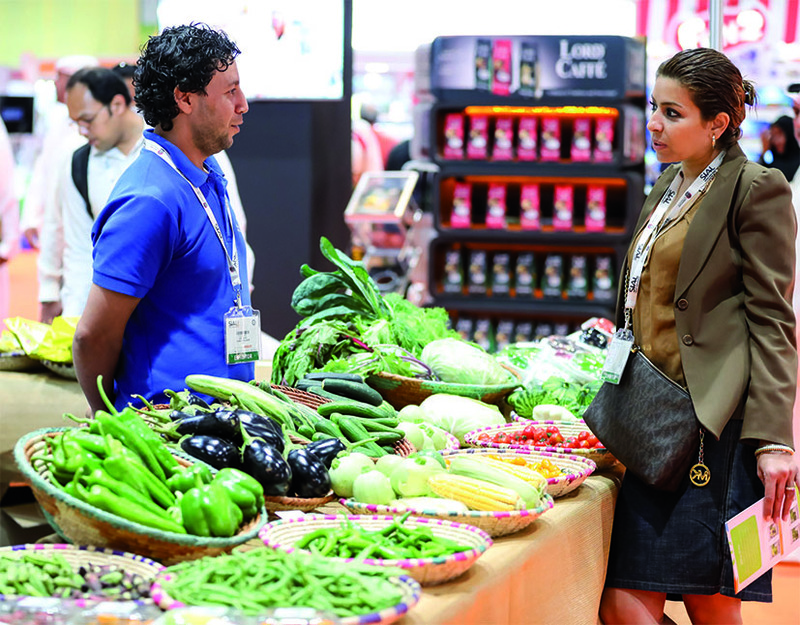 With the support of our strategic partner, Abu Dhabi Food Control Authority, a dedicated VIP hosted buyer program fully funds the visit of up to 500 top buyers from the Middle East, Indian Subcontinent and African region to attend SIAL Middle East. Each application goes through a stringent process to qualify right buyers to come to the event. Aspects like items to source, company turnover and purchasing power are given due consideration before selecting hosted buyers. Launched as a new initiative in 2015, the Hosted Buyer Introduction Suite has been a roaring success with exhibitors and hosted buyers alike. The Hosted Buyer Introduction Suite is a private dedicated space for exhibitors to meet with batches of select Hosted Buyers in Speed Networking Sessions. As part of these sessions, exhibitors and hosted buyers have 3 minutes to exchange business cards, introduce products and schedule a detailed meeting if required. In 2016, 5,231 introductions took place between exhibitors and hosted buyers. Organized by the Emirates Culinary Guild of Abu Dhabi, La Cuisine by SIAL is a favorite meeting point for foodservice professionals. The event in 2016 saw more than 1,000 professional chefs compete across a variety of disciplines in three days of heated competition. Senior chefs from La Cuisine take guided tours around the show based on their sourcing requirements. 765 introductions with exhibitors were made at the 2016 event. Launched in 2015, this La Cuisine category adds an additional dimension to the travel-catering sector offering at SIAL Middle East. This category is jointly organized by Emirates Culinary Guild and Etihad Airways. Within this category, chefs need to prepare a lunch/dinner menu aimed at business class passengers. 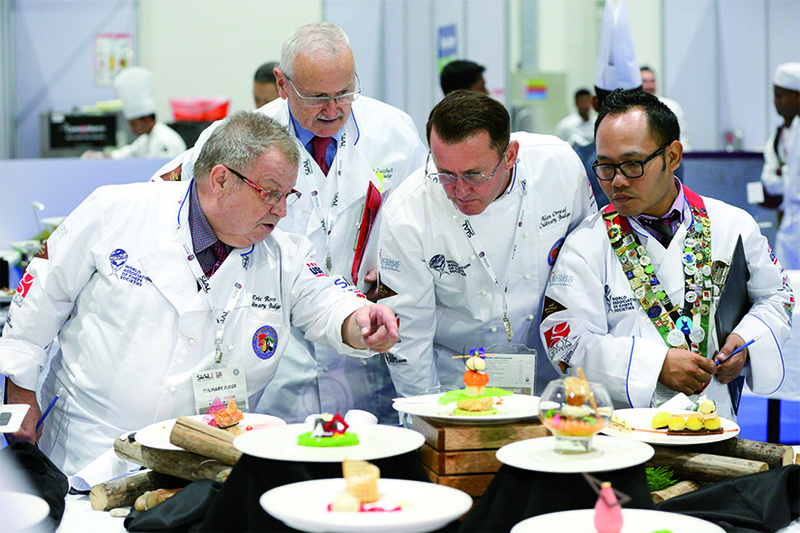 SIAL Middle East hosts more than 150 senior chefs from the region and select exhibitors to network in an informal setting. SIAL Innovation Area showcases the world’s most innovative products, guaranteeing an experience for attendees to learn about upcoming trends in the food & beverage sector. The 2016 event featured 44 most innovative food and beverage products out of 250+ submissions. The competition is only open to exhibiting companies. As a new initiative launched in 2015, SIAL Innovation winners from SIAL Paris, SIAL Canada, SIAL China, SIAL ASEAN Manila, and SIAL InterFOOD Jakarta were present to showcase their innovative products to buyers and visitors. The winners from 2015/16 were once again represented at SIAL Middle East 2016. SIAL Middle East hosts a reception for exhibitors and hosted buyers on 2nd evening of the event. SIAL Innovation award winners are also announced at the event. World Tour offers a window in to the world of food commerce. 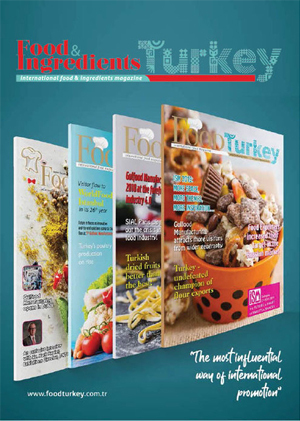 At the 2016 event, 27 partner magazines and newspapers from all over the world mapped the agri-food market in their respective countries. 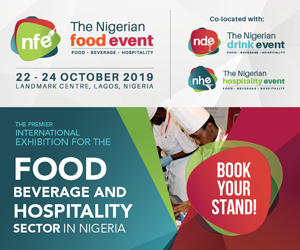 Over 3 days, SIAL Conferences higlight the opportunities, trends and challenges in airline catering and general F&B sphere. At the 2016 event, Airline catering panel sessions were held on day 1 of the event whereas top hotel GMs, F&B directors and managers discussed strategies on the last day. Some of the top panelists included: Jeremy Clark, Airline Catering & Onboard Services Consulting, JC Consulting, Salim Hazife, Managing Director, Perth Inflight Catering, Ricardo Matos, Director of Food and Beverage Operations, Atmosphere Burj Khalifa Restaurant and Orsolya Meszaros, Director of Food and Beverage, Waldorf Astoria Ras Al Khaimah. The Mercurys is the most prestigious award in travel catering industry, running for 35 years. Judged by a panel of independent experts, the 2016 edition of the awards recognized the very best in on-board catering with five main award categories spanning airline meals, service, general on-board food and beverages and equipment. The award ceremony held at Shangri-La Abu Dhabi was attended by more than 150 travel catering professionals. Food Security Center – Abu Dhabi (FSCAD) will once again bring together top government officials, CEOs and industry experts to discuss ways of ensuring the availability of affordable, sustainable and nutritious food for the region.